1. Strong UV light absorbing capabilities 2. Resistance to discolouration under ultraviolet light. 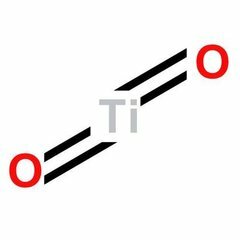 Titanium dioxide, also known as titanium(4+) oxide or titania, is the naturally occurring oxide of titanium, chemical formula TiO2. Generally it is sourced from ilmenite, rutile and anatase. The product is made from crude titanium dioxide, sourced from rutile, as raw material with the process of mixing, sanding, washing, centrifuging, drying and crushing. 1. Titanium dioxide is considered to be the world's best performance of a white pigment, widely used in coatings, plastics, paper, printing ink, chemical fiber, rubber, cosmetics and other industries. 2. Titanium dioxide is also widely used in cosmetic and skin care products as a pigment, sunscreen and a thickener. It is also used as a tattoo pigment and in styptic pencils. Store in a cool, dry and well-ventilated area with the zenith. 12 months from the production date under the above storage conditions.